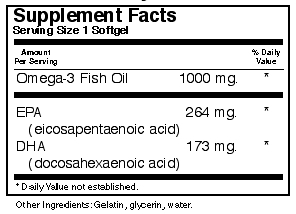 High potency EPA formula from Norwegian deep sea cold water fish oil. EPAX fish oils are produced using a patented molecular distillation process. Tested for heavy metals, e.g. mercury, PCBs and other pollutants. Molecular distillation eliminates the unpleasant fishy taste and odor and also virtually eliminates the regurgitation associated with many marine Omega-3 fish oils. Free of: milk, egg, crustacean shellfish, tree nuts, corn, peanuts, wheat, yeast, gluten, barley, rice, sodium, and sugar.